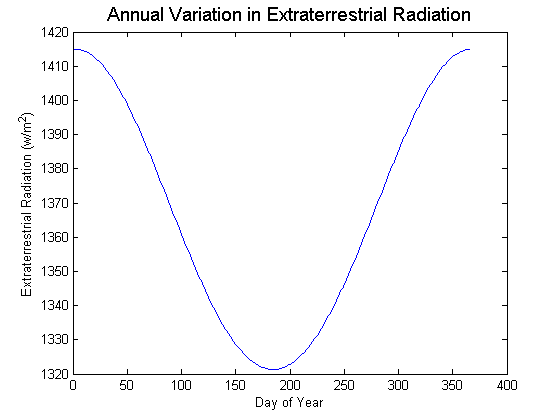 , where is the solar constant ( ). is the mean sun-earth distance and is the actual sun-earth distance depending on the day of the year. where is the day of the year (integer).